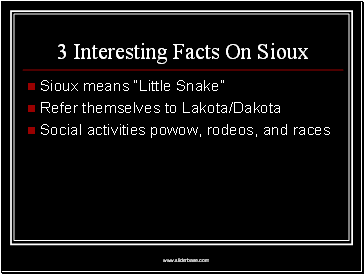 Lived: Dakota’s, Kansas, Nebraska, Montana, and Wyoming. 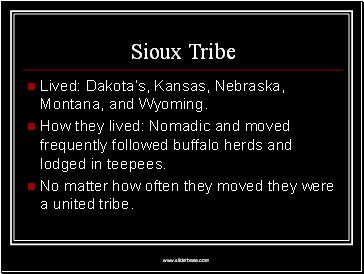 How they lived: Nomadic and moved frequently followed buffalo herds and lodged in teepees. 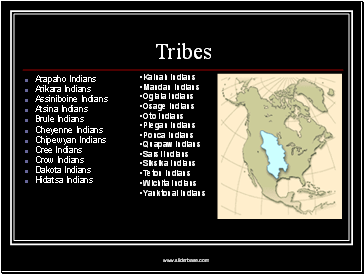 No matter how often they moved they were a united tribe. What they wore: strips of leather in their hair to keep their hair pulled back. 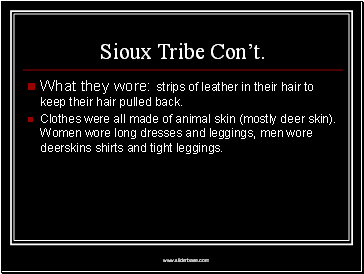 Clothes were all made of animal skin (mostly deer skin). 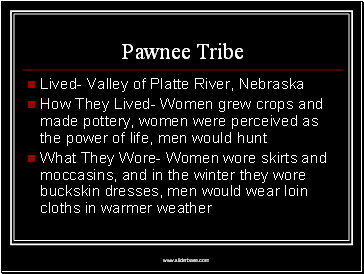 Women wore long dresses and leggings, men wore deerskins shirts and tight leggings. 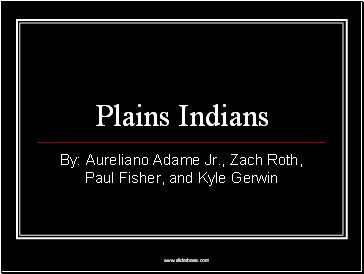 Lived- Great Plains east of Rocky Mountains west of Mississippi River, Settled in Montana and Oklahoma. 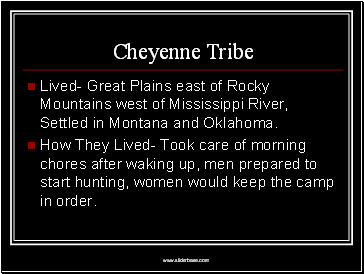 How They Lived- Took care of morning chores after waking up, men prepared to start hunting, women would keep the camp in order. 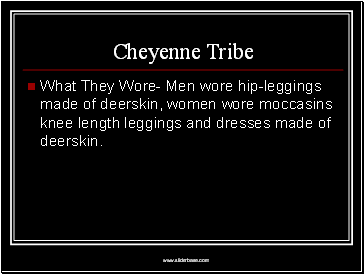 What They Wore- Men wore hip-leggings made of deerskin, women wore moccasins knee length leggings and dresses made of deerskin. 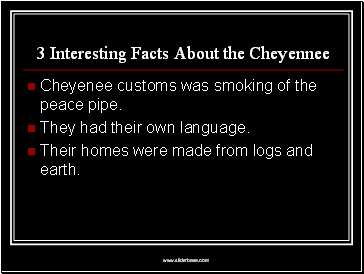 Cheyenee customs was smoking of the peace pipe. Their homes were made from logs and earth.